Disclosure: This is a sponsored post. I received the products from LotFancy for free, but all thoughts and opinions are my own. Affiliate links are also used in this post. You can read my full disclosure here. We live in Minnesota, so we tend to get a lot of snow in the winter. 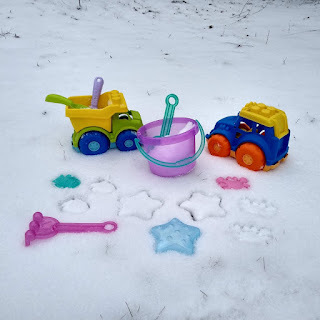 Our 2-year-old daughter, Little Moon, is a huge fan of playing outside, despite the cold, and sand or beach toys are perfect for playing with snow! Little Moon is a huge fan of the LotFancy sand toys, especially the trucks. 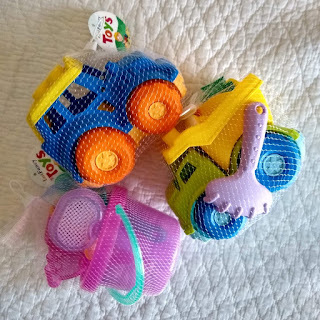 The trucks are made from 100% recycled plastic TPE, which is super soft and bendy, and BPA free! They are also dishwasher safe, how cool is that? The plastic bucket set is made of a harder plastic, but is BPA free, so safe to play with! 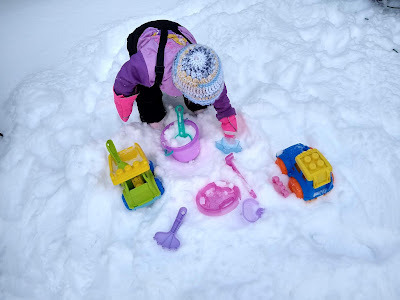 Our daughter loved filling it with snow and she uses it to carry around her smaller toys as well. 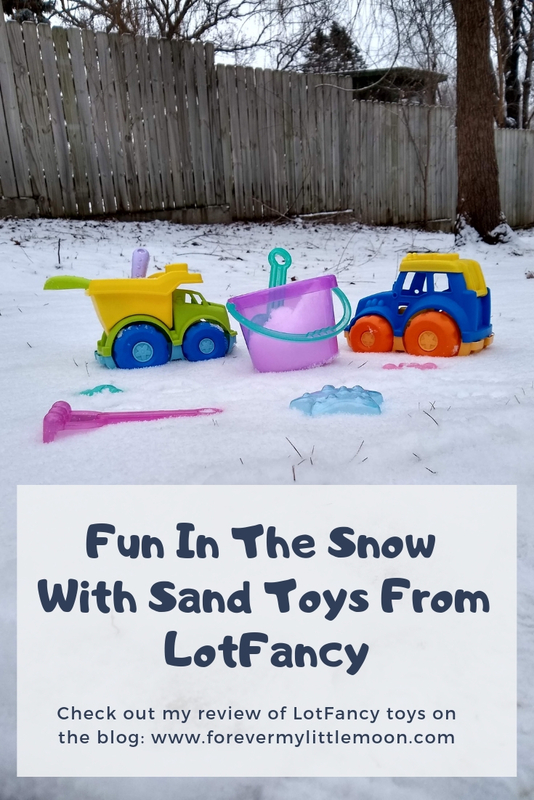 Besides being great for playing in the sand and snow, you could also bring them into the bathtub or just play with them indoors. Our daughter likes to fill the bucket and dump truck with her legos and letter magnets and dump them out. She also just likes to push the trucks around going "vroom vroom." They are a great stem toy for a toddler! The beach toys seem pretty sturdy and have already survived a few weeks with no damage, so I think they will hold up for a long time. You can find LotFancy toys on Amazon. LotFancy also sent us a couple more toys and a hairbrush set to try and review. We loved them as well! 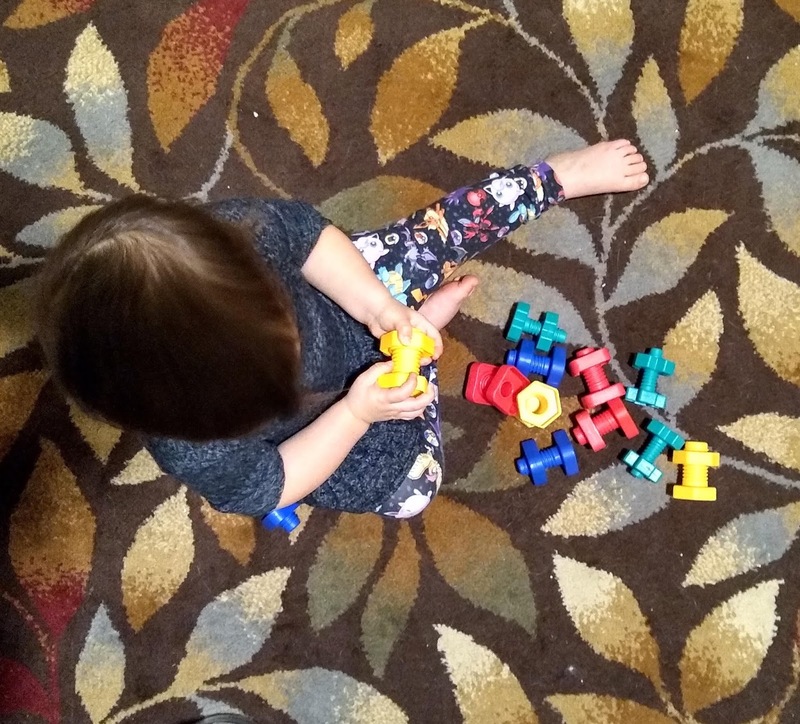 The toy is rated for ages 3 and up, but our 2-year-old still loves to play with them. She hasn't quite figured out how to screw the nuts onto the bolts on her own, but she loves to twist them! It's a great toy for practicing fine motor skills. I highly recommend it. You can find the LotFancy Jumbo Nuts and Bolts set on Amazon. Our daughter absolutely loved this toy! I was impressed with how many songs the LotFancy Musical Toy played. I was expecting it to only have animal sounds, put when you push the person, it plays a song. There are multiple songs it cycles through as well. It plays a total of 12 melodies! The music toy also has a carry handle, which is awesome as our daughter likes to carry it around with her. It also came with batteries, so I didn't have to do anything, but remove it from the box and turn it on. The only tiny annoying thing is that the toy doesn't automatically shut off on its own after a certain amount of time. There is an on/off switch and if you leave it on, it will play a little sound every minute or so reminding you that the toy is still on until you shut it off. But it has an off switch, so I still recommend this one over other sound toys. 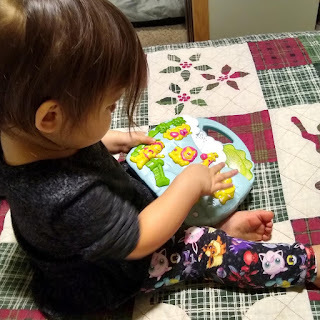 Plus our daughter seems to love this music toy the most out of all the other ones she has! I just love this brush set. The handles of hairbrush are made of 100% natural beech wood, which doesn't only look beautiful but is also eco-friendly. The wood is also water resistant, so it's totally safe to wash these brushes! 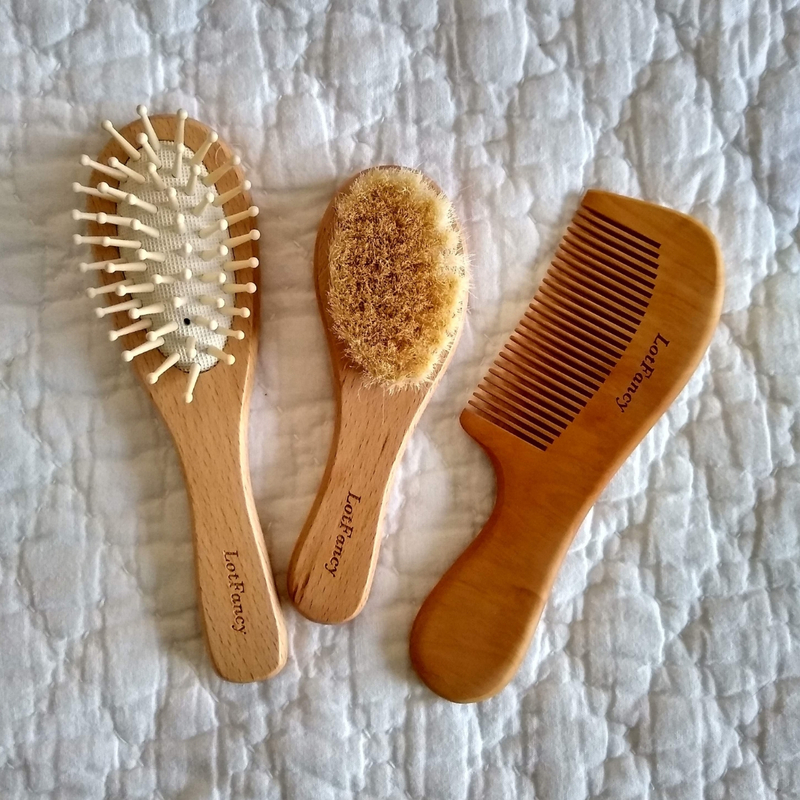 The bristles of the goat hair brush (middle brush in the photo above) are made of 100% natural goat hair, which is super soft! These are definitely high-quality brushes and I totally recommend them. I'm thinking this will be my go-to gift now for baby showers. You can find this stunning set on Amazon. You can find more LotFancy Products on Amazon. Growing up in New England we did this as children all the time. What great memories. I really like how they are made from recycled plastic AND dishwasher safe. Pinned! I don't have young ones anymore but i know others are looking for some fun and easy winter activities. What a great idea to use sand toys in the snow! I haven't heard of this brand before but they have a lot of great stuff. I need to do some shopping for my niece and nephew and their items would make great gifts.